Hunter Thomas is a senior who plans on going into the military after high school. Though Hunter does want to go into the military, he also has plans to go to college to become a police officer. 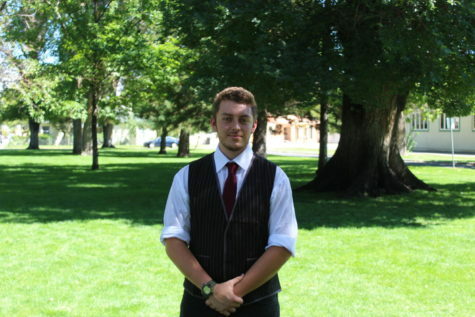 He plans to go to Cerro Coso community college for his first two years of college, then he wants to transfer to UNR. One reason he wants to join the military or the police force is that he believes in service. When talking about being a police officer Hunter stated “I believe in service, and it is an honorable job. Service is a great way for someone to develop as a person.” Another reason Hunter wants to join the military is that his older brother had joined the military 10 years ago.